Staff and students at our A Level Academy are celebrating an outstanding 100% overall A level pass rate today. Whilst the overall A level pass rate has fallen nationally, St Helens College has once again excelled with the majority of students securing places at their first choice universities across the UK, including University of Birmingham, Edge Hill University and University of Plymouth and Russell Group university, University of Liverpool. 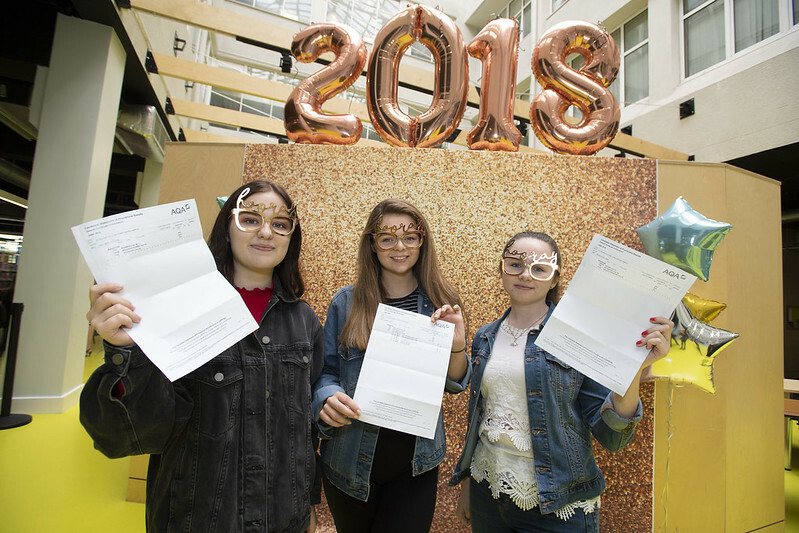 Core A level subjects including Biology, Chemistry, Mathematics, English Language and English Literature also achieved an outstanding 100% pass rate. These impressive results build on the College’s 2017 achievements which placed the College at the top of the Department for Education performance tables as the best General Further Education College in Merseyside for A level progress and the third best A level provider in St Helens. St Helens College’s A Level Academy offers over 19 A level subjects, three unique Professional Skills Programmes, smaller class sizes and individualised support from tutors, creating an aspirational learning environment in which students can excel in.